Ameren Corporation was formed in 1997 by the merger of Missouri’s Union Electric Company with neighboring Central Illinois Public Service Company – but our roots stretch back to 1902. Ameren’s values include safety, integrity, respect, accountability, stewardship, teamwork and commitment to excellence. We’re involved in programs to protect and conserve our environment, and help our communities prosper and grow. We’re proud of our past, and we’re invested in the future. Associated Electric Cooperative, Inc. (AECI) & the Association of Missouri Electric Cooperatives (AMEC) are both proactively working to protect the monarch and other pollinators and keep electricity reliable and affordable for the six regional and 51 local electric cooperatives that own the member-owned wholesale power generator. AMEC has helped create a habitat demonstration plot at AMEC headquarters in Jefferson City and AECI has created and continues to create many acres of pollinator habitat at their electric generating facilities. In addition, AECI sponsors agricultural research on its land and AMEC works to inform rural electric cooperative members about habitat preservation for monarchs. Bayer is committed to preserving and protecting the biodiversity of our planet. Weed management has been a factor in the decline of milkweed habitat. Bayer is collaborating with nonprofits, universities, researchers and others to improve and protect habitat for the monarch butterfly and other pollinators across North America. It is clear that sufficient progress won’t be made without action. Bayer is committed to working alongside others to address this important element of biodiversity. They are proud to be a part of state-specific initiatives, like Missourians for Monarchs, since each geography has unique needs and priorities. Missouri is especially important since Monsanto is headquartered in the state and calls it home. You can read more about our broader efforts here and here. Burroughs Audubon of Greater Kansas City is the KC chapter of National Audubon and has 2,000 members in the Kansas City area. Burroughs Audubon is committed to the conservation of habitat and wildlife. In 2015, Burroughs Audubon and partners were awarded a National Fish and Wildlife Foundation Grant to restore monarch habitat across the Greater Kansas City area. As more habitat goes in, more citizens become engaged and more land stewards are installing and maintaining native plantings. Branson lies squarely in the middle of the monarch migration flyway. 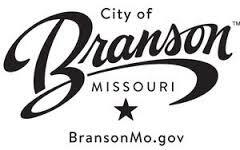 Branson has signed the “Mayors Monarch Pledge,” and continue to be proactive. Leaders, citizens and businesses have banded together to make Branson a better, greener place for its citizens and for the monarchs. The community has held multiple native plant sales and has given valuable resources to citizens through presentations, events and milkweed plantings. The City of Columbia signed the National Wildlife Federation’s Mayors Monarch Pledge in February of 2017 and has been working diligently to create habitat for pollinators for several years. In addition to restoring over 15 acres of monarch habitat, the City has partnered with Columbia Public Schools to propagate 5,000+ milkweed plugs from locally sourced milkweed seeds. At completion, these monarch habitat sites will be used as demonstration sites for educational and outreach activities, as well as recreational opportunities for the public. The Conservation Federation of Missouri is a broad based advocacy organization for all aspects of natural resources and outdoor heritage. CFM is working to unite conservation organizations together in efforts to promote and protect monarchs and pollinators, but they are also working to bring non-traditional partners to the table, like the Rural Electric Co-ops who have committed to planting thousands of acres of pollinator friendly plants on lands they manage. 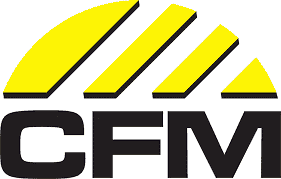 CFM members care deeply about all natural resources, so when a species or landscape is in trouble, they rally diverse interests to its cause. Right now, monarchs and pollinators are a top priority. 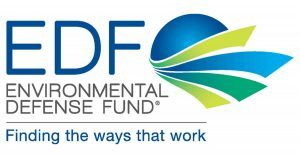 Since 1967, the Environmental Defense Fund has found innovative ways to solve the toughest environmental problems. The EDF has created the Monarch Butterfly Habitat Exchange, and the idea behind it is simple: We want to make it more profitable for farmers to protect milkweed than to eliminate it, incentivizing conservation. Since farmers and ranchers manage much of the habitat appropriate for milkweed, they are in a perfect position to restore and enhance this vital habitat, creating key patches and corridors of breeding and nectaring habitats along the monarch butterfly’s great migration. 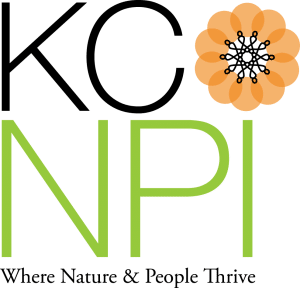 The participants of the KC Native Plant Initiative have a shared vision – a future of beautiful, native landscapes connecting heartland communities where nature and people thrive together. We are committed to our mission to ignite a regenerative relationship between our native landscapes and heartland communities by acknowledging their beauty, increasing knowledge of how to expand their presence, and cultivating opportunities to work together. With objectives like those set in place to increase pollinator habitat, the Kansas City Native Plant Initiative aims to make our community more livable for now and for the generations to come. Though it started small, the Kansas City Zoo is now a 202-acre nature sanctuary that opens hearts and minds to the importance of preserving the natural world for generations to come. The Zoo’s Monarch Butterfly project aims to promote a sustainable cooperation with local species of flora and fauna. Monarch butterflies represent a vital community of pollinators and native wildlife that face threats from urban expansion and agricultural practices. At the Kansas City Zoo, the butterflies serve as a flagship species to engage and inspire our visitors to simple and obtainable conservation actions. As a cooperative, MFA has long seen the value of conservation through the commitment its members place on making their farms better places. MFA joined Missourian for Monarchs because the organization brings a diverse group of interests together to reach a common goal. MFA has great experience in working with farmers to fulfill conservation plans they have entered through state and federal agencies. The cooperative has been a leader in providing products and services that help farmers protect and improve the environment. Missourians for Monarchs’ success depends on reaching private land. MFA knows conservation is an important component of farming, and MFA is behind its members, owners, the farmers of Missouri. The Missouri Botanical Garden’s mission is “to discover and share knowledge about plants and their environment in order to preserve and enrich life.” Today, more than 155 years after opening, the Missouri Botanical Garden plays host to more than one million visitors a year. As a Missourians for Monarchs partner, the garden shares the story of migrating monarchs helps visitors participate in citizen science by helping tag, track and map butterflies. 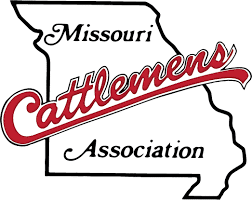 Established in January 1911, the Missouri Cattlemen’s Association began with a primary mission to promote and protect the beef-producing industry. MCA’s policies and priorities are established through the time-tested grassroots process it has followed since 1911. Every producer member of MCA may introduce policy concepts to the membership during the annual meeting. MCA monitors and lobbies for issues that affect cattlemen at both state and national levels. 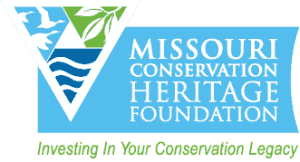 The Missouri Conservation Heritage Foundation is a nonprofit, charitable organization created in 1997 to meet financial demands placed on Missouri’s natural resources. 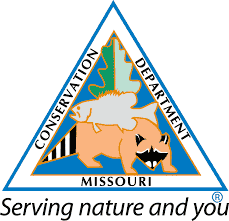 MCHF advances the conservation and appreciation of forest, fish and wildlife resources by applying financial resources to the priorities of the Missouri Department of Conservation in collaboration with donors and other partners. One of MCHF’s first projects was to raise $3.6 million in matching funds to construct the Anita B. Gorman Conservation Discovery Center in Kansas City. Since that time, the foundation has provided over $21 million for conservation projects large and small throughout the state. The Missouri Corn and Soybean Merchandising Council is a statewide, farmer-led organization working to improve opportunities for Missouri soybean farmers though a combination of research, outreach, education and market development efforts supported by the soy checkoff. The Missouri Soybean Association is a statewide membership organization designed to increase the profitability of Missouri soybean farmers through policy, advocacy and education efforts across the state. 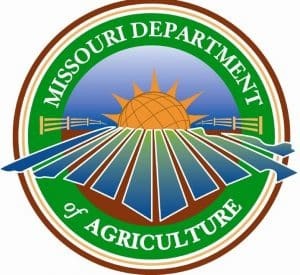 The Missouri Department of Agriculture is dedicated to the promotion and protection of the state’s agriculture industry. With nearly 100,000 farms on more than 28 million acres of farmland, the state’s Department of Agriculture works to connect farmers with consumers. Nearly 90 percent of Missouri’s farms are family owned, and our family farms are committed to producing a safe and secure food supply for customers locally and globally. Missouri Department of Conservation’s mission is to protect the fish, forest and wildlife species of the state and ensure all Missourians have the opportunity to enjoy our natural resources. MDC owns or manages about 1 million acres of land in Missouri and is committed to establishing and managing existing areas for diverse native habitats, including monarch and pollinator habitat. MDC has partnered on research with MU Extension and Bradford Research Center, including studies about seed sourcing and cover crops. They have worked to emphasize pollinators through the Continuous Conservation Reserve Program (CCRP), municipalities and the Midwest at large. As Missourians, the Department of Natural Resources (DNR) is proud of the state’s unique natural and cultural resource abundance and diversity, heritage and way of life. 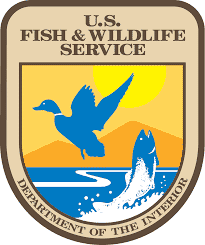 The mission of the department is to protect air, land and water; to preserve our unique natural and historic places; and to provide recreational and learning opportunities for everyone. DNR has unique opportunities to engage in restoration projects around the state, and these efforts help increase Missouri’s habitat for monarch butterflies and pollinators. Through DNR’s Youth Education and Interpretation programs, the department is able to take an active statewide role in providing education programs in our state parks, schools and online, which detail the plight of the pollinators, and move people to action to help the cause. Missouri’s landscape has incredible natural diversity. 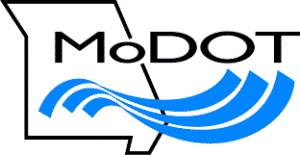 MoDOT recognizes the richness of our state’s diverse environment, and seeks to balance Missouri’s transportation needs with environmental sensitivity and responsibility. With the seventh largest transportation system in the nation, MoDOT has many programs and practices that support habitat for monarchs and pollinators. Integrated roadside vegetation management is practiced, including reduced mowing and selective herbicide usage. MoDOT is collaborating with the Federal Highway Administration and other state departments of transportation to improve pollinator habitat along the Interstate 35 corridor, informally called the Monarch Highway. The Missouri Native Seed Association is an organization of Missouri native seed producers and native seed collectors, state and federal government agencies and other partners. The organizers strive to create fair and prosperous marketing opportunities for Missouri native seed producers and collectors. The Association is governed by a board of directors comprised of five native seed business members and advisory members from partnering agencies. In February 2015, the National Wildlife Federation approached the Missouri Prairie Foundation to help spearhead the organization that is now Missourians for Monarchs. MPF, now 51 years old, is the only organization in Missouri whose land conservation efforts are devoted exclusively to prairies and other native grasslands – the original monarch habitat, which is home to more than 400 native pollinating insects. MPF’s mission is to protect and restore prairie and other native grassland communities through acquisition, management, education and research. MPF also promotes the use of native plants for landscaping, stormwater management, wildlife and pollinator habitat and livestock forage through its Grow Native! program. 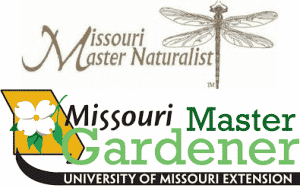 Missourians for Monarchs, Naturalists & Gardeners was formed in February of 2015 as a partnership consisting of Missouri Master Naturalist & Master Gardener Chapters, local garden clubs and interested citizens. The partnership’s primary goal is to restore and protect the habitat loss in Missouri that has contributed to the rapid decline of monarch and pollinator populations. Our main activities include establishing new monarch and pollinator habitat sites, improving existing habitat sites, protecting such sites and educating the public on the plight of monarchs and pollinators and what to do to help them. The Mizzou Botanic Garden is the University of Missouri campus. 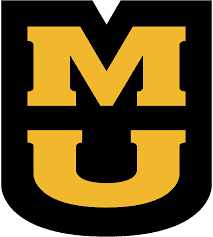 The mission of MUBG is to support the University of Missouri in the areas of education, research, extension, and economic development. The University of Missouri campus is a registered Bee Campus USA and maintains several areas of pollinator habitat throughout its gardens. MUBG hosted the first ever meeting of the Missourians for Monarchs collaborative and is proud to be part of this important pollinator conservation movement. In 2015, NWF joined with USFWS, Monarch Joint Venture, Xerces Society, Monarch Watch and others to support a joint implementation of a Monarch Conservation Strategy in the U.S. For two years, NWF has worked with federal, state and local government agencies, NGOs, farmers, transportation officials, ranchers and other large landowners, homeowners, schools and industry, via an “all hands on deck” approach to monarch butterfly conservation. 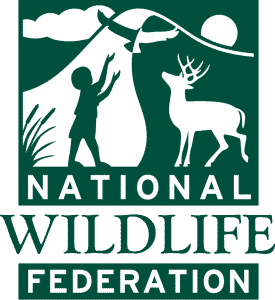 The NWF’s Mayors’ Monarch Pledge, initiated in October 2016, has engaged over 268 mayors and other local government chief executives across the nation. Natural Resources Conservation Service recognizes and promotes the role of agriculture in monarch conservation. In order to do this, NCRS promotes habitat areas and understands these areas in Missouri connect with national goals. Partnership opportunities help NCRS foster and enhance the implementation of monarch habitat on agricultural and rural landscapes. Some of the programs NCRS helps sponsor include: Monarch Butterfly Habitat Development Project (MBHP), Environmental Quality Incentives Program (EQIP) and Agricultural Conservation Easement Program – Wetland Reserve Easements (ACEP-WRE). 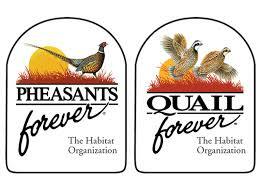 Pheasants/Quail Forever is the nation’s largest nonprofit organization dedicated to upland habitat conservation. Pheasants/Quail Forever has more than 140,000 members and 700 local chapters. Chapters determine how 100 percent of their locally raised conservation funds are spent. Since creation in 1982, Pheasants Forever has spent $867 million on habitat projects, benefiting 18+ million acres nationwide. Pheasants/Quail Forever has been a member of Missourians for Monarchs Collaborative since its inception because as The Habitat Organization they recognize great monarch habitat is also great pheasant and quail habitat. The St. Louis Audubon Society actively works to restore public lands in the St. Louis region for the benefit of native wildlife, including pollinators. Efforts have included invasive plant removal, watershed cleanups, wetland restoration and native plant demonstration garden installations. Founded in 1915, St. Louis Audubon shares the National Audubon vision to create a community connection to nature through education and conservation. With a focus on birds, St. Louis Audubon provides the general public with field trips, classroom education programs, scholarships, education seminars and hands-on habitat restoration opportunities. 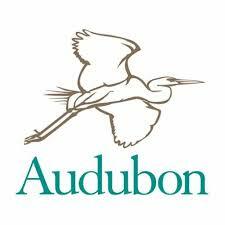 St. Louis Audubon represents over 3,000 members in the greater St. Louis metropolitan area. The St. Louis County Parks has launched a new initiative: Project Pollinator. The project is partnered with The Butterfly House and St. Louis County Libraries. The goals of this project include educating the public, providing demonstration gardens and challenging municipalities to plant gardens in public spaces. They have restored prairies and enhanced parks with butterfly and pollinator forage. 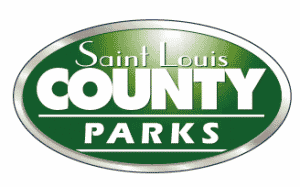 St. Louis County Parks believe in restoring habitat by introducing host plants and forage for native pollinators. One of their commitments lies with the creating a future for monarch butterflies by building a wildlife oasis filled with natives and milkweed. St. Louis County Parks Children’s Garden Club is proud to be part of the larger movement to save the monarch. They helped launch Project Pollinator in 2016,conduct education programs on pollinators.The St. Louis County Parks launched their outreach education, recognition with the startup of Pollinator Pantry program with a full season food plant guide that featured the 20 most common butterflies. Nearly 35, 000 guides were distributed, and many providers, producers and promoters were awarded last year. Their annual youth summer camp that features monarch education for various age groups. The year-round children’s garden club meets monthly and often features monarch education. Since its inception in 1910, the Zoo has been renowned for its beautiful naturalistic exhibits and for its diverse collection of animals from the major continents and biomes of the world. It is widely recognized for its innovative approaches to animal management, wildlife conservation, research and education. Through the Zoo’s WildCare Institute, the Zoo focuses on wildlife management and recovery, conservation science, and support of the human populations that coexist with wildlife in 12 conservation hotspots around the globe, including three in Missouri. The U.S. Fish and Wildlife Service recognizes that climate change, pesticides and habitat loss contribute to dwindling monarch populations, but simple acts such as planting milkweeds and native flowering plants, engaging in citizen science and learning about monarchs are ways to lend a hand. The USFWS is evaluating a proposal to see if the monarch should be listed as threatened or endangered. If this decision is made after review by 2019, the USFWS would be responsible for keeping the species from going extinct. The Midwest region is especially important for monarchs and to USFWS because of its potential opportunities to improve grassland ecosystems. Monarchs are important, iconic insects that help with pollination and have one of the most highly evolved migrations in the insect world. The monarch butterfly is an insect marvel and a mystery with its’ innate inter-generational migratory behavior. The College of Agriculture-University of Missouri has pledged to try to assist this fragile species in recovering to larger populations in Midwest ecosystem. The college strives to balance agricultural practices and the environment in a system that allows most non-pest species like the monarch butterfly to thrive with hope that this species can enjoyed by all Missourians for future generations.